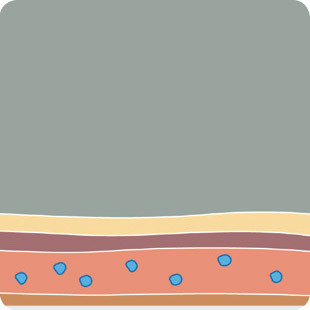 1The micro-current in the Stilo increases the electrical conductivity and permeability of the cell plasma membrane, whilst creating additional water channels or “electropores” in the skin, allowing for properly charged cosmetic and/ or medicinal particles to enter subcutaneous tissue at controlled depths. This process, known as Electroporation, takes only a minute and the permeability lasts around 2 minutes before the stratum cornea’s natural protection properties reinstate. 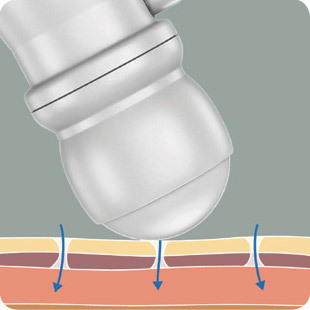 2Using the Roll-On Attachment with the corresponding elapromed Compound, the pre-programmed technology administers the active ingredients directly to the targeted depth in the skin, using the electropores as well as an opposite current, providing an Electro-repulsion effect, a common phenomenon witnessed when two magnets of the same polarity are placed together. While the Stilo delivers current directly onto the skin with a steel tip, the Roller conducts the current to the skin via the active cosmeceutical compound being delivered. 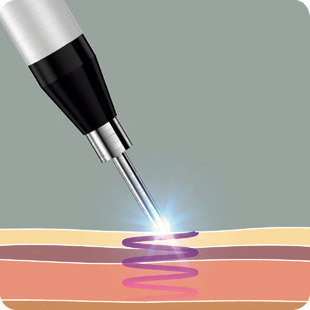 The technician alternates between the Stilo and the Roller frequently during the 25 to 30 minute treatment. As the chosen compound and the current to the Roller both have a positive charge, when they meet the ingredients are repulsed into the electropores and further attracted below the epidermis towards the negatively charged electrode positioned comfortably on the patients back. The outcome after a 25 minute painless facial session is a thorough saturation of the targeted area with active and moisturizing compounds along with a general lifting, brightening and remoulding of the facial contours. To enhance the lifting and regenerating effects, the micro-current also provides a general stimulating and firming of the attached underlying facial muscles, further providing unequalled anti-aging benefits than offered by comparable technologies. 3During the last few minutes of the treatment, the technician has the option to address issues like deep wrinkles and fine lines with specific products effortlessly added into the protocol to enhance the dermal plumping and rejuvenating effects. The elapromed Electroporation treatment finishes with a light massage utilizing the remaining treatment product on the skin. Once completed follow with sunscreen.